Workboard, Inc. is a fast-growing provider of apps for managers to achieve their goals, improve performance and team productivity. Teams at more than 10,000 organizations rely on Workboard including large pharmaceutical, financial, technology, oil and manufacturing companies. 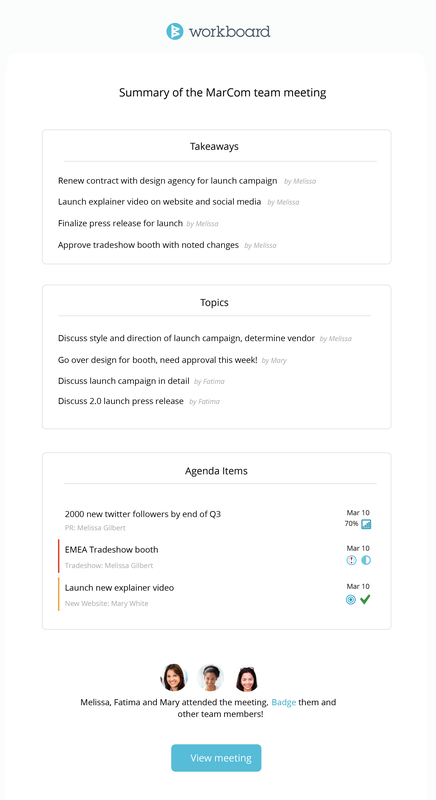 Workboard Basic helps managers and their teams coordinate priorities in real time, do and share work, automate status reports and improve feedback loops. 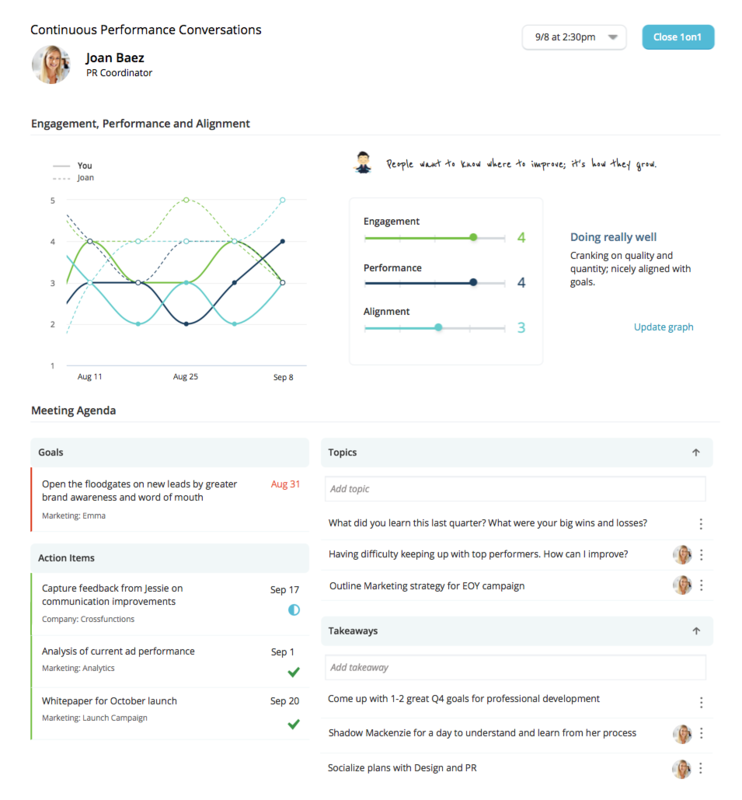 Workboard Elite helps managers share and achieve goals, orchestrate better execution with team meetings, manage priorities and exceptions, and improve individual performance with 1on1s and workload data. The company was co-founded in 2014 by CEO and serial entrepreneur Deidre Paknad and has enjoyed viral growth since its launch. For more information, visit www.workboard.com. Workboard Team Meetings help teams organize agendas with topics, action items, and goals, and capture actionable takeaways. Workboard 1on1 Meetings help managers and team members have continuous performance conversations and visualize their respective perceptions of engagement, performance and alignment.